I do not spring forward well. I was born in winter, in the late evening. I’ve been accused of reverse seasonal affective disorder (or, as I call it, “Seasonal Ugh-stop Neurosis” aka SUN). I have, as one astrologist poetically put it, a lunar affect. I am a Fall/Winter by anyone’s measure. So daylight savings time in March is a tough row for me. It will take weeks to re-orient, especially this year when spring seems to have missed its stop, what with knee-deep snow in New York and blazing 80-plus temps in Los Angeles. Full disclosure: I made this yesterday in order to have it as I slunk forward this morning. Like most tea cakes, this was very easy. My dodgy apartment oven doesn’t always hold a temperature (dropping at random from 350 to 300), so I needed an extra 20 or so minutes on the bake, giving me a browner cake and thicker “crust” than desired. No matter, this thing is delicious. Much better the second day. I will say, though, if you’re looking for a tea cake that is bursting with a kind of fruity, zesty freshness, this isn’t it. 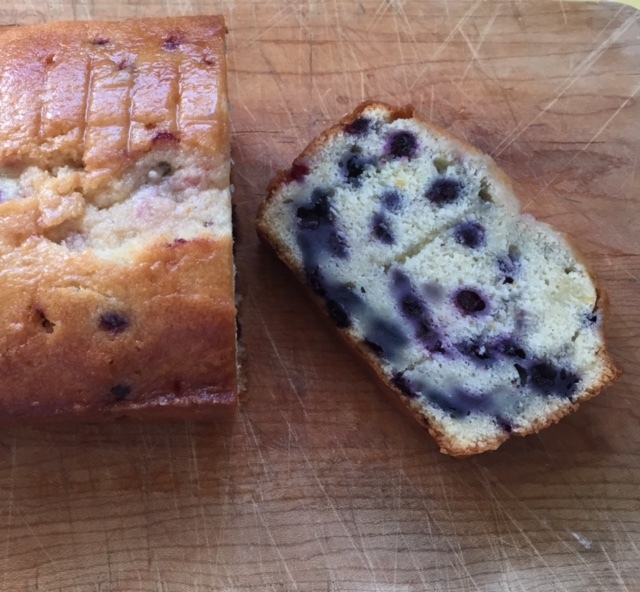 The sugar doesn’t help, but fresh fruit will obviously make a big difference, especially backyard lemons and farmers market blueberries. (I’m also thinking a Tuscan cornmeal base would deliver a stronger fresh-from-the-garden experience.) That said – this was fast, easy, good, and very welcome on this DST day. 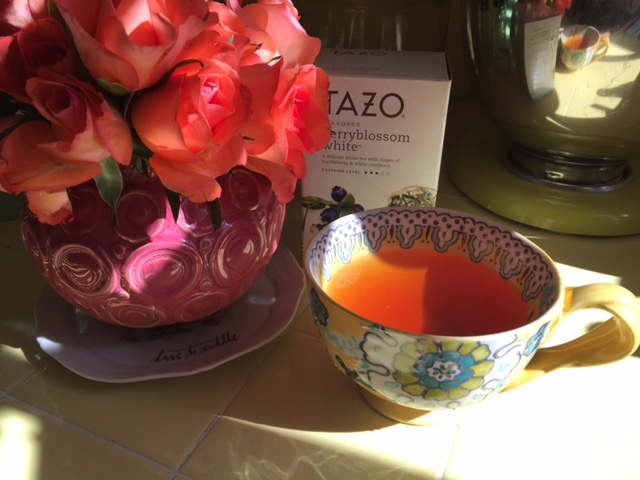 The perfect accompaniment is this Tazo tea I’m obsessed with: BerryBlossom White. It’s the Jo Malone of teas: Floral and fruity but not at all overwhelming. PS, Trader Joe’s has had these roses for a couple of months, $4.99 per bunch of 13. $10 a week for a pop of color. 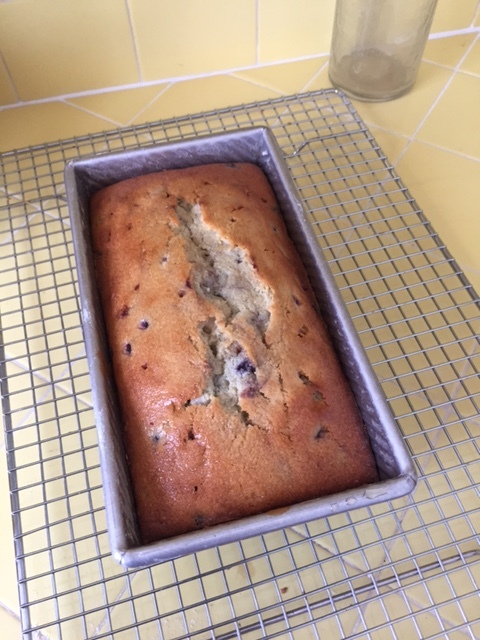 This entry was posted in Recipes and tagged blueberry, lemon, Martha Stewart, Tazo, tea cake by Caroline Siemers. Bookmark the permalink.